An Israeli Air Force F-16I fighter jet was shot down by Syrian Air Defense, while carrying out an early morning air strikes in the country on Saturday. Israel says the aircraft was carrying out air raids on a Iranian UAV control center in Syria that sent a unmanned aerial vehicle (UAV) into Israeli airspace, when it came under heavy anti-aircraft counter fire. The Iranian UAV was successfully engaged by an IAF Apache attack helicopter. The Israeli air strike group consisted of more than one aircraft. The Syrian Air Defense forces reportedly employed the Soviet vintage S-200 ( NATO reporting name SA-5 Gammon) long range, medium-to-high altitude surface-to-air missile (SAM) system designed in the 1960s to shoot down the F-16I. 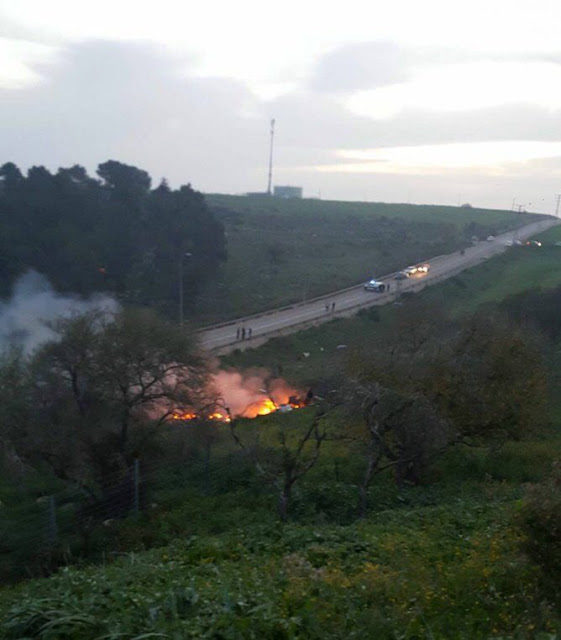 The stricken aircraft crashed in the Jezreel valley in northern Israel, close to the Israel occupied Golan Heights. 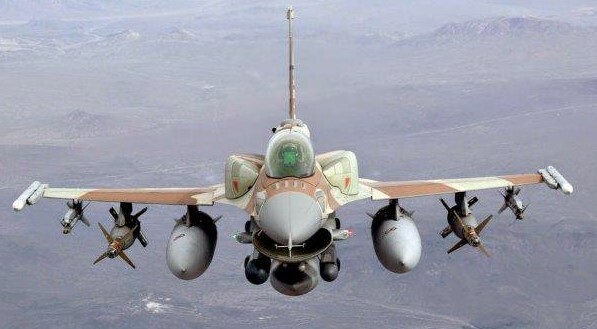 Both pilots were able to eject and landed in Israeli territory. One of them was severely injured, while the other sustained minor injuries. Both were evacuated to hospital in a UH-60 Blackhawk helicopter. Following the crash, Sirens sounded in northern Israel as a result of Syrian fire. 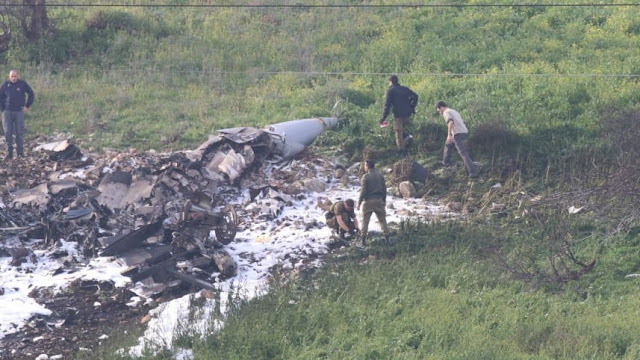 Corroborating Syrian claims of hitting more than one aircraft, new reports indicate an IAF F-15 fighter was also hit, but was able to make an emergency landing. Israeli Defense Forces spokesperson Jonathan Conricus said on Twitter that the Iranian UAV control facility was accurately hit. Following the crash IDF carried out a large-scale retaliatory air strikes against 12 Syrian air defenses and Iranian targets in Syria. Three Syrian air defense batteries and four targets associated with Iran, which are part of Iran's establishment in Syria were engaged according to a Israeli Air Force statement. Iran along with Russia - is a key supporter of Syrian President Bashar al-Assad, whose troops have been fighting rebel groups since 2011. Israel operates over 200 F-16I Sufa figher jets, which were acquired in 2004 and are heavily customized version of the Lockheed Martin F-16D Block 50/52 twin seat trainer jets. Incident marks a major blow to Israel's perceived aerial supremacy in the region. Shooting down one of the most advanced fourth generation fighter jet can seriously affect Israel's aerial offensive capability in case of war with arch rival Iran. Powered by a single F100-PW-229 manufactured by Pratt and Whitney with a maximum thrust of 29,100 lbs, the F-16I features a CFT (Conformal Fuel Tank) which increase fuel capacity by 40 percent the amount of fuel it can load normally. Most of the systems installed in the airplane are Israeli and were manufactured by Israeli Defense industries, accustomed to the IAF's needs. The aircraft is equipped with a advanced radar which has synthetic aperture capability, which allows for the detection of ground targets in any sort of weather, in day and at night. The aircraft is also equipped with a Litening Pod- which locates targets and guides weapons, and a LANTIRN pod for navigation.